When the owner of a popular local fitness studio came to me for help with her new brand, I couldn't help but jump at the opportunity. Under a different name and brand the studio had been very successful and had a long list of loyal clients. The new name, look, and feel for the studio needed to instill confidence in it's patrons and encourage new clients to come check out their diverse and fun fitness options. 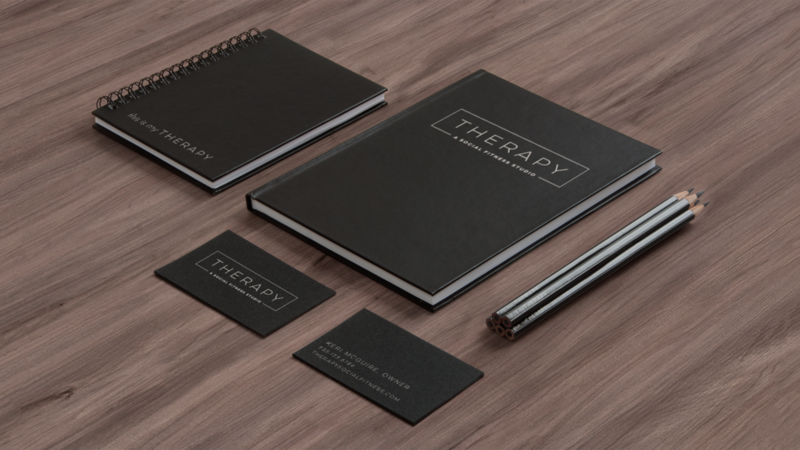 The new studio needed to feel luxe and modern, so we brainstormed and came up with a great clean logo that would look awesome on signage and the merchandise being sold at the various locations. 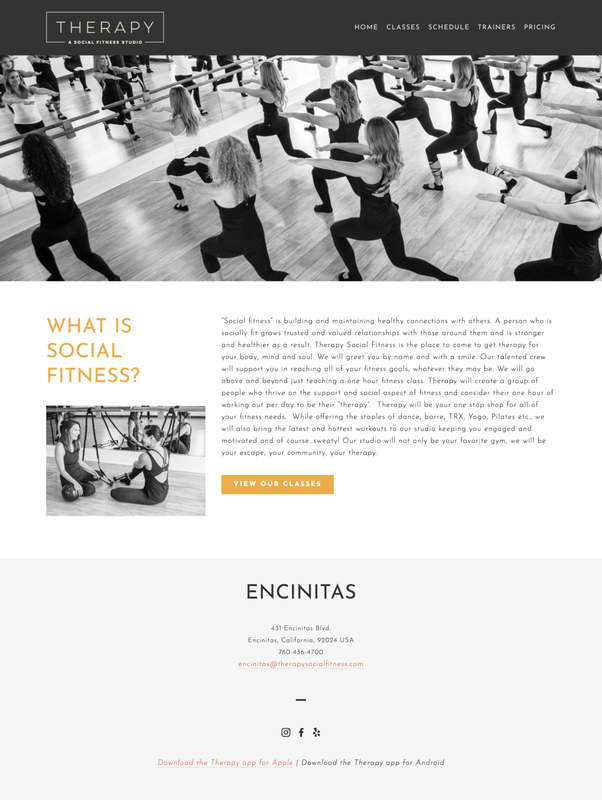 To keep clients up to date on all the studio goings-on, I customized and set up Squarespace sites for both their California and Utah locations and integrated MindBody so that clients could book classes online. 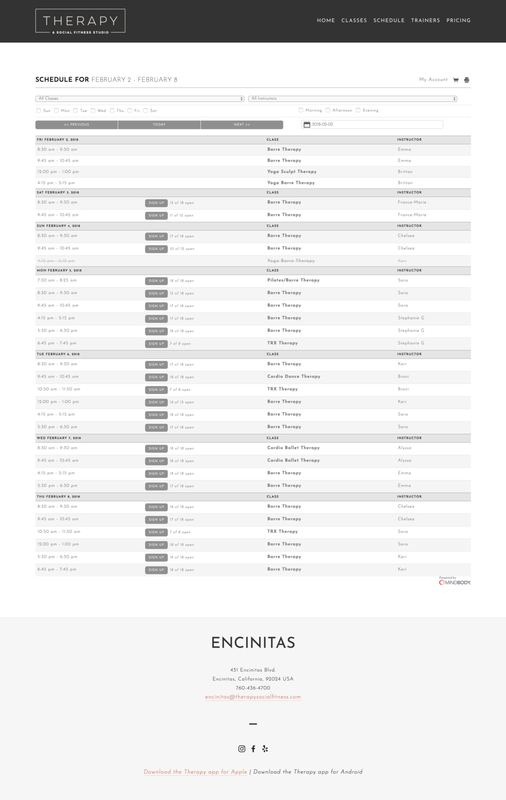 The new branding also translated to the MindBody app, where clients can view the schedule and book their classes on the go. 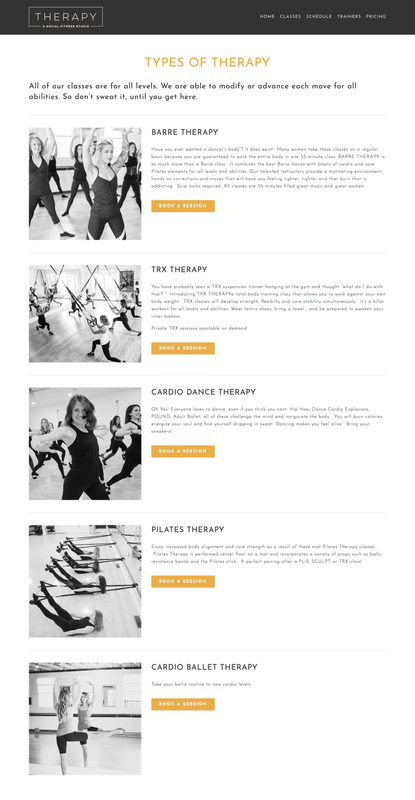 If you're in Southern California and looking for a fun and challenging fitness classes, check out therapysocialfitness.com if you're located near the Salt Lake City area in Utah, check out therapyslc.com.